John D. Whitt, age 80, of Crum, WV, passed away Tuesday, July 24, 2018 at Trinity Healthcare Services in Williamson, WV. 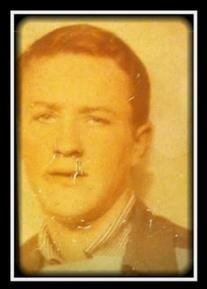 He was born March 12, 1938 in Martin County, KY to the late Hence and Mettie Caine Whitt. In addition to his parents, he is preceded in death by his wife, Catherine Crum, 4 brothers; Homer, Monroe, Ray, Robert Whitt, and 4 sisters; Arbie Vanover, Dorothy Vincents, Elsie Marcum, and Cynthia Bowen. He is survived by 3 sons; Terry Whitt, Michael (Keisha) Whitt, and Jason (Amanda) Whitt, all of Ohio, 5 daughters; Rosalie (Jeff) Spaulding of Gilbert, WV, Barbara (James) Pack of Crum, WV, Lou (Ollie) Dingess of Hode, KY, Tammy (Jason) Skaggs of Louisa, KY, and Lisa (Rub) Marcum of Kermit, WV. He is also survived by 24 grandchildren and 22 great grandchildren. Funeral services will be held Thursday, July 26, 2018 at 1:00 PM at the Vineyard United Baptist Church with Richard (Doc) Maynard officiating. Friends may visit at the church after 5 PM on Wednesday. Arrangements are under the direction of Crum Funeral Home of Inez, KY.